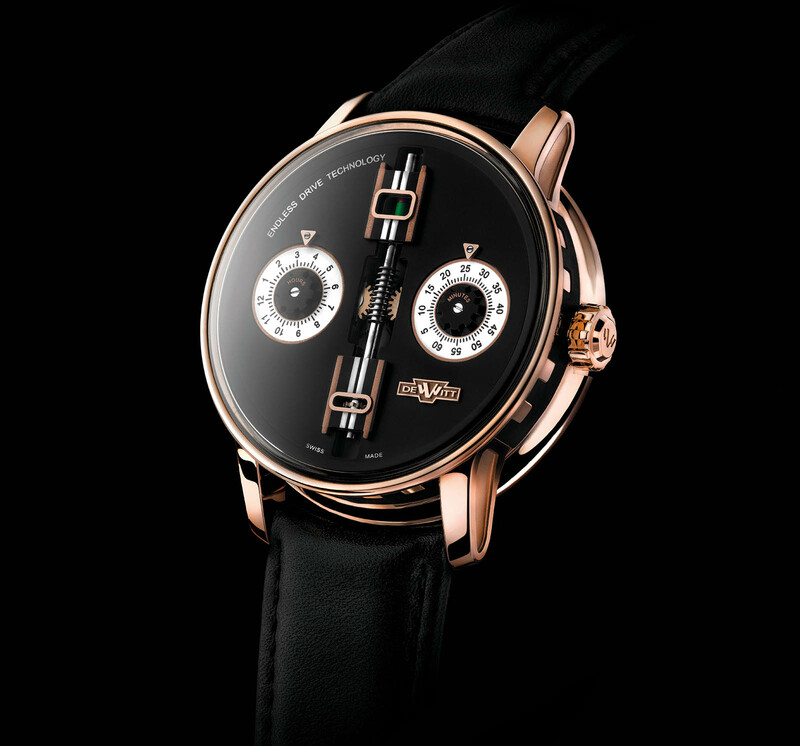 DeWitt, the brand best known for being founded by a direct descendant of Napoleon’s brother Jérôme Bonaparte, unveiled the Academia Endless Drive earlier this year at SIHH. In a nod to automotive mechanics, the Endless Drive boasts a unique power reserve indicator driven by a helical worm screw sitting vertically on the dial. As the mainspring depletes, the screw slides downwards to reveal a red band in the aperture at 12 o’clock. Inversely, when the barrel is wound, the screw moves upwards to reveal green. 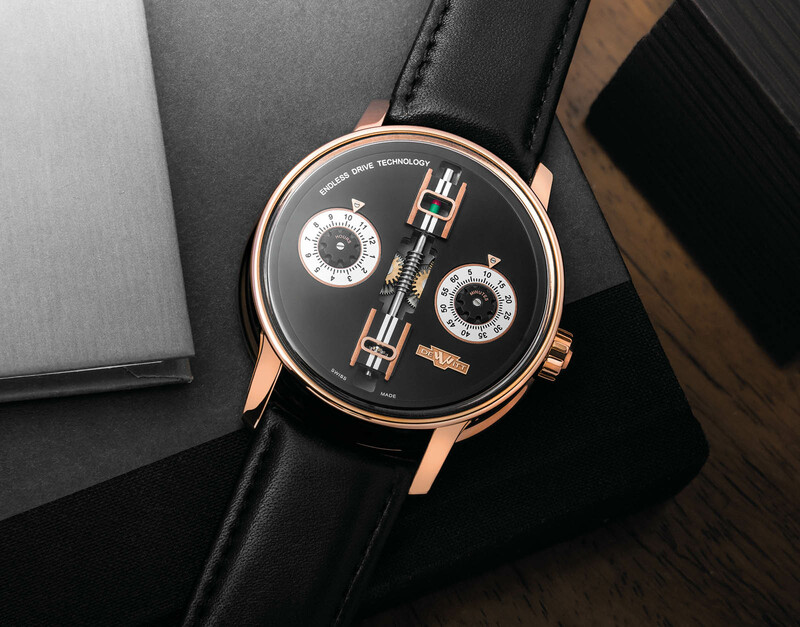 The dial is dedicated to the elaborate power reserve display, and the rest of it is straightforward. The black galvanic treated dial is made in the brand’s factory in Meyrin, just outside Geneva. It features two silvered rotating discs on either side of the screw, displaying the hours and minutes respectively via tiny gold pointers screwed to the dial. It’s powered by the in-house, self-winding cal. DW1653. Measuring 30.6mm in diameter, the movement comprises 320 parts and has a 59-hour power reserve. 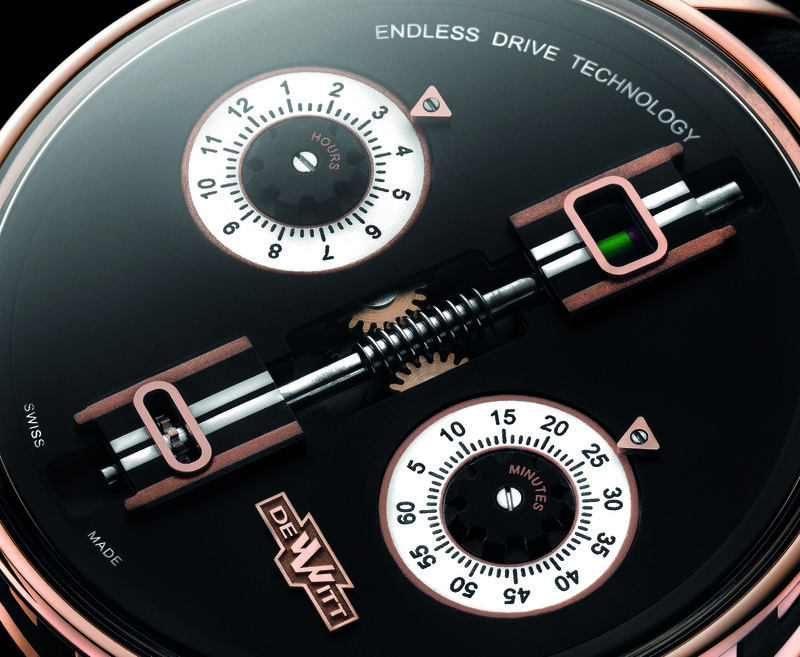 Visible through the exhibition caseback, it is equipped with a variable inertia balance that beats at 3Hz and features an openworked rotor emblazoned with the DeWitt logo. The Academia case is in pink gold, measures 42.5mm in diameter and 12.85mm in height. While the Academia case historically had cast fluting on the case band, here it has a rubber insert to mimic fluting, a motif inspired by imperial columns. The DeWitt Academia Endless Drive (ref. AC.ED.001) is priced at US$46,500. The DeWitt Academia Skeleton features a seconds that sweeps forwards and then backwards, thanks to clever, complex gearing. A simple wristwatch with elaborate finishing, and hints of the brand's tourbillons in its design.